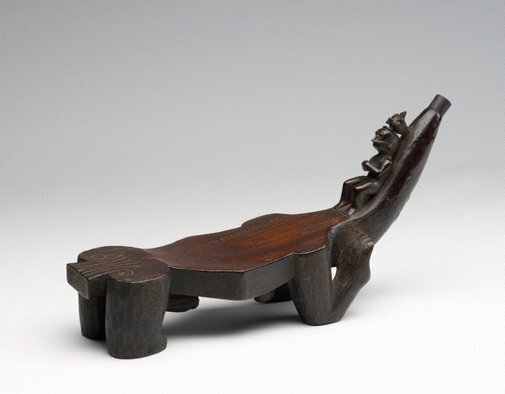 genitalia, this seat once incorporated a serrated blade at the top of the neck to remove the flesh of coconuts. 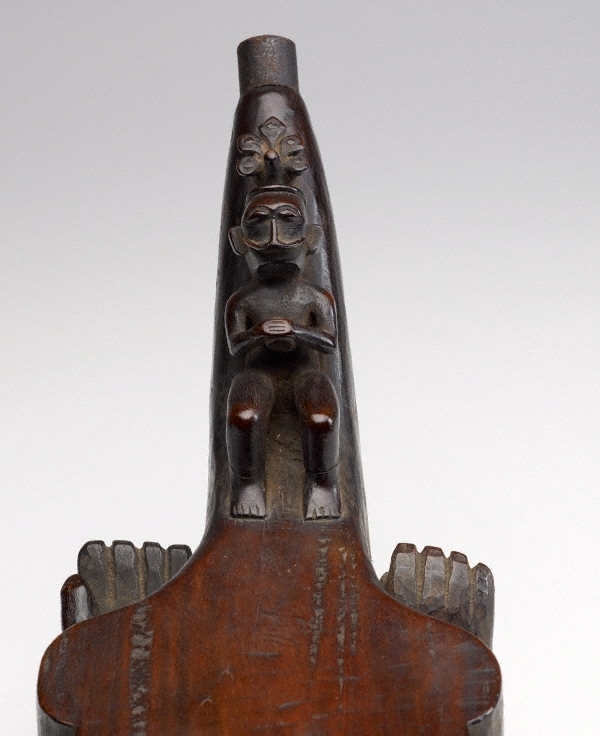 The exceptional workmanship of the stool, which resembles the large stone ‘osa-osa’ seats carved for ‘owasa’ feasts of merit, and the presence of a small crowned ancestral figure, suggest it was used for a significant feast sponsored by a high-ranking aristocrat. Ancestral art of the Indonesian archipelago , Sydney, 2017, 82-83(colour illus).